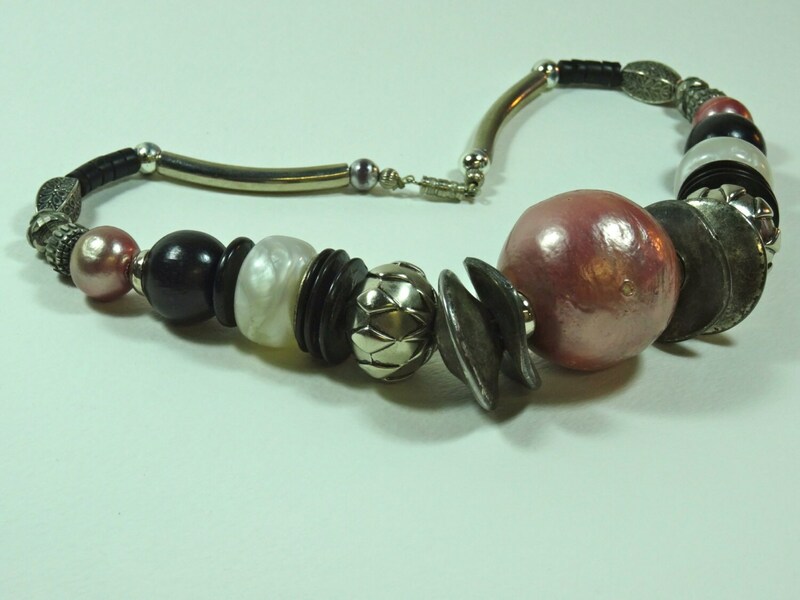 Pink/silver-color metal /black/pearl beaded necklace. 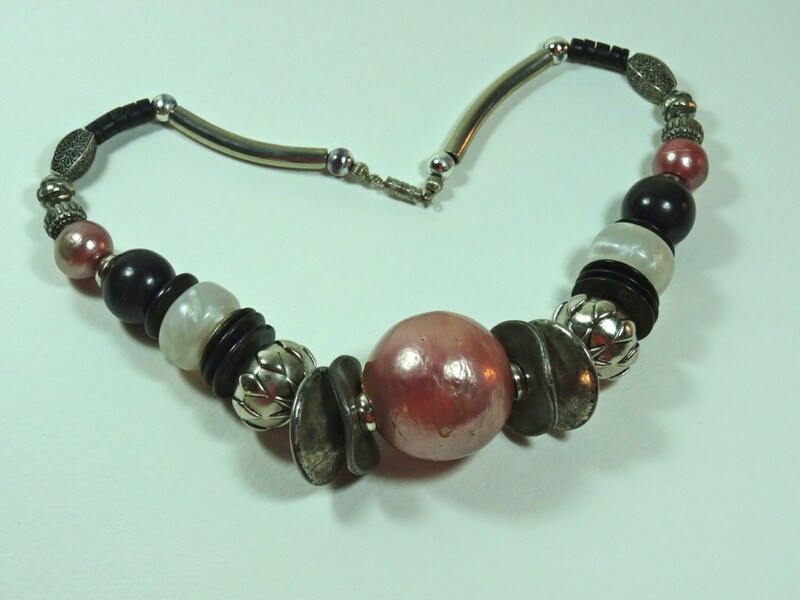 This necklace measures about 18" long. 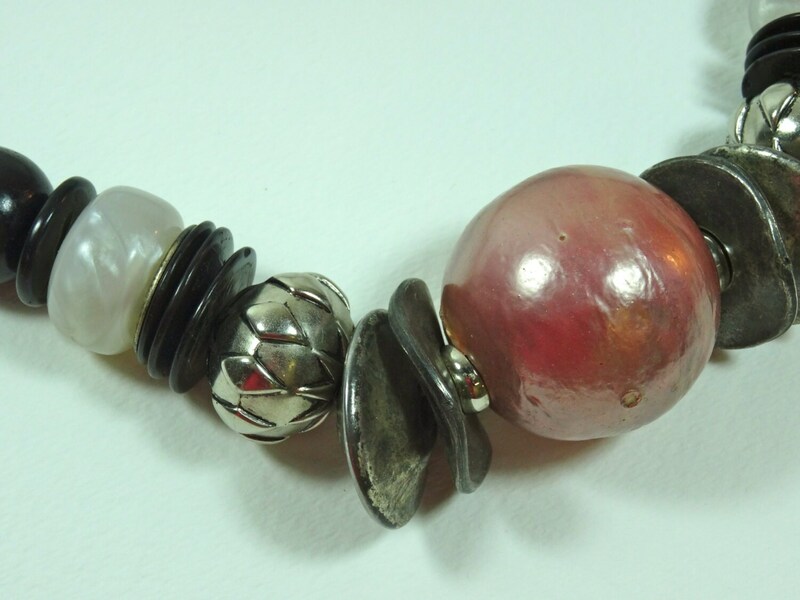 This necklace is finished with a metal screw clasp.